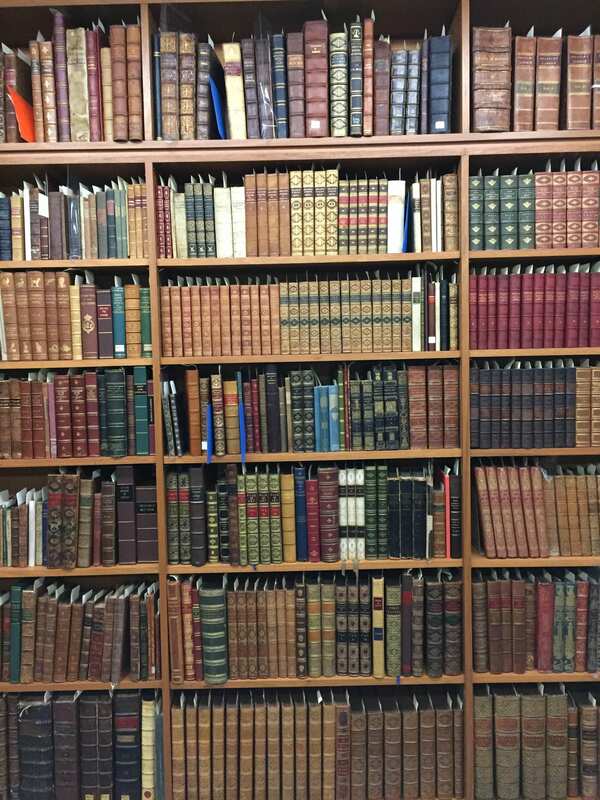 The Rare Books Collection: How did it all start? Prior to 1959, the university library’s Rare Books Collection was relatively small. The first significant contribution to the collection was the George McArthur bequest, which was made in 1903. George McArthur (1842-1903) donated “the whole of his books” to the University of Melbourne, which involved some 2,500 volumes. [1.] These books covered topics such as Australian exploration, mining history, typography, and early printing. The bequest made up around ten percent of the library’s rare cultural materials at the time, and led the way forward to allow for the collection to develop. While George McArthur’s contribution was a kick-start in the right direction, the library’s Rare Books Collection has become what it is today due to the generous donations made by Dr J. Orde Poynton over the 1960s and 1970s. But who was Dr Poynton, and what was his link to the library collections? John Orde Poynton AO CMG (1906-2001) was born in London. Having received a prestigious education at the University of Cambridge, he pursued a career in medicine. He fought in the British army in the Second World War, where he was captured as a prisoner of war for three-and-a-half years. Following his release, in 1947, he moved to Australia and became a lecturer at the University Medical School of Adelaide, and then the acting director of the Institute of Medical and Veterinary Science of South Australia. By 1950 he was appointed as director of the institute. It was during this time in Adelaide that Dr Poynton demonstrated his keen appreciation of books by becoming the Chairman of the Friends of the Public Library of South Australia from 1955-1960. Before the war, Dr Poynton had gathered a book and print collection with his father, which was located in London. This collection was largely destroyed during the German bombings of London in 1941, and so, Dr Poynton began a new hunt for the acquisition of rare books in the years following the war. In 1958, Dr Poynton visited the University of Melbourne to inspect the construction of its new library, the Baillieu. He wrote to the then-Vice-Chancellor of the university, Sir George Paton, stating that he would be pleased to have “such a fine library building” as the home for his books. [2.] Thus in 1959, when the Baillieu Library opened, Poynton made his first bequest to the University. He donated around 850 books, each with a handwritten description describing the volume’s production, binding, backstory and acquisition process. Also included in the original donation were 36 paintings and a large number of prints, including etchings by Dutch painter and printmaker Rembrandt. Dr Poynton continued to make donations on a nearly annual basis, contributing over 15,000 volumes to the university’s library. The books cover a wide range of topics with an overarching theme of the history of fine printing and the art of the book. For this reason, the collection features over 3,500 Greek and Latin classic texts, which provide insight into printing from the 15th to the 19th centuries. 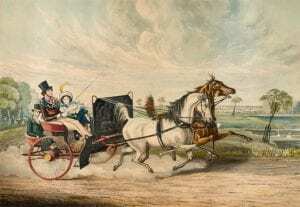 Other notable sub-collections include first and early editions of key English authors from the 18th and 19th centuries, a large amount of modern private press books, limited and first editions of 20th century writers, and The Scott Collection—featuring 2,500 volumes by or about Sir Walter Scott. An important strength of the Rare Books Collection is extra-illustrated books, which feature across most of the sub-categories. In 1961, Dr Poynton was appointed as Consulting Bibliographer to the University of Melbourne, moving to Melbourne in 1963. 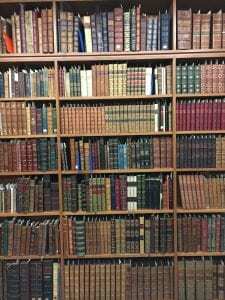 Dr Poynton’s additions to the collection meant that the Baillieu Library was running out of space in the Leigh Scott Room, where the rare books were kept. As a result, a new rare book room was constructed during the 1970s Baillieu Library extension, and is still in use today. The rare book room keeps the collection separate from the library’s main borrowing section, allowing the books to be stored in special conditions, protected from the daily wear and tear of visitors’ browsing. And so, the library’s collection has vastly expanded over the years. These days, the Baillieu Library boasts a collection comprising of over 250,000 rare books as well as ephemera and journals. So just as Dr Poynton’s ancestor Thomas Hollis gifted a small collection of books to Harvard College to start up a library which now houses over six million books, Dr Poynton too has a similar legacy; one which future generations of scholars will undoubtedly be very grateful for. [1.] Hilary Maddocks, ‘The George McArthur Bequest: A Personal History’, University of Melbourne Collections (2011), p.24. [2.] Merete Smith, ‘Dry Light Is Best’, The University of Melbourne Library Journal (2001), pp. 11-12. Merete Smith, ‘The Poynton Collection’, The University of Melbourne Library Journal (2001), p.7.